Our FLURMÖBEL furniture fits seamlessly into the existing FLAI collection with its straight lines. The shoe bench offers plenty of storage space and a padded seat in a wide range of fabrics. The minimalist chest of drawers integrates four drawers or a door. There is a matching mirror that can be hung high or crosswise. All furniture is made of birch plywood with CPL coating in white or anthracite. 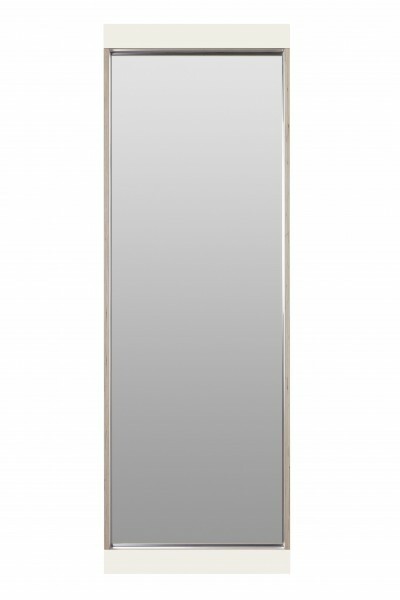 The slender mirror integrates an approximately 4 cm wide shelf and can be hung either high or crosswise. It is also available in solid oak on request.